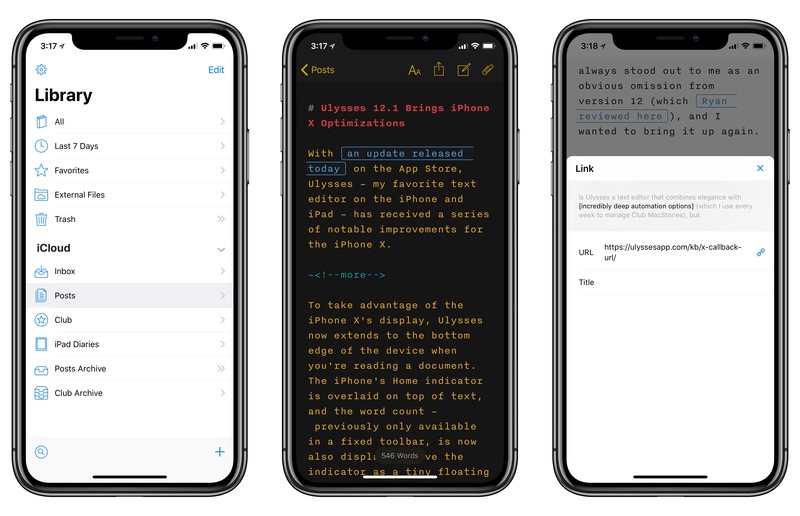 With an update released today on the App Store, Ulysses – my favorite text editor on the iPhone and iPad – has received a series of notable improvements for the iPhone X. 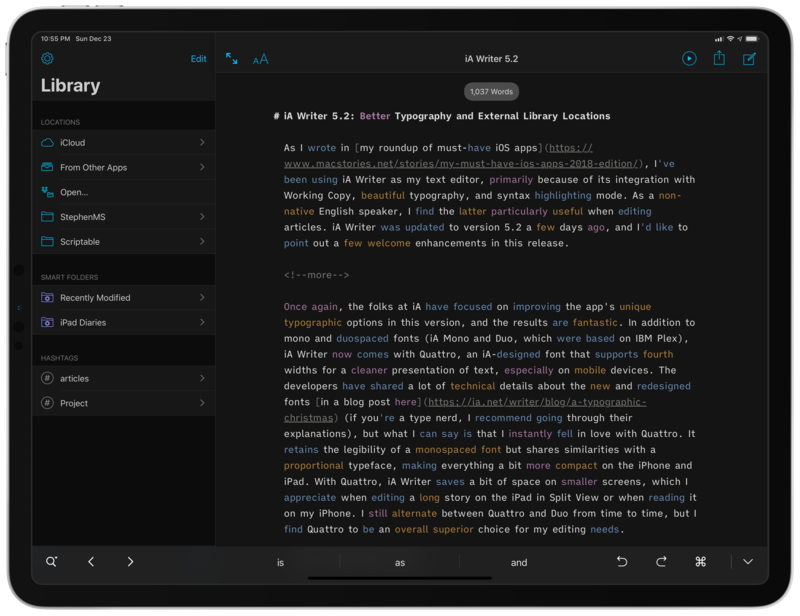 A major update to iA Writer, the popular Markdown text editor for iOS and macOS, has been released earlier today. I didn't have enough time to test the beta of version 4.0, but I'm intrigued by the idea of file transclusion – effectively, a way to structure documents with content blocks based on local file references. You can reference text files, images, and even .csv files to include in the compiled text output as MultiMarkdown tables. I think this is a genius way to handle file embeds in longer documents, and it's something I would consider for future longform projects. 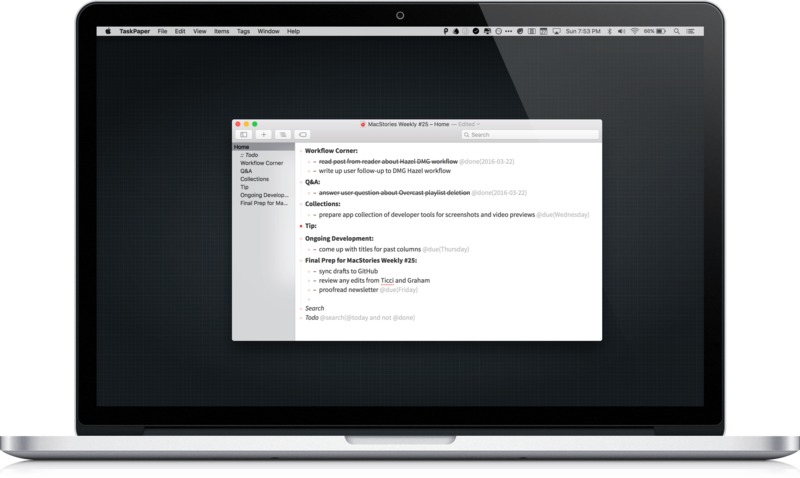 I'm not aware of any other Markdown text editor for iOS that implements a similar option. 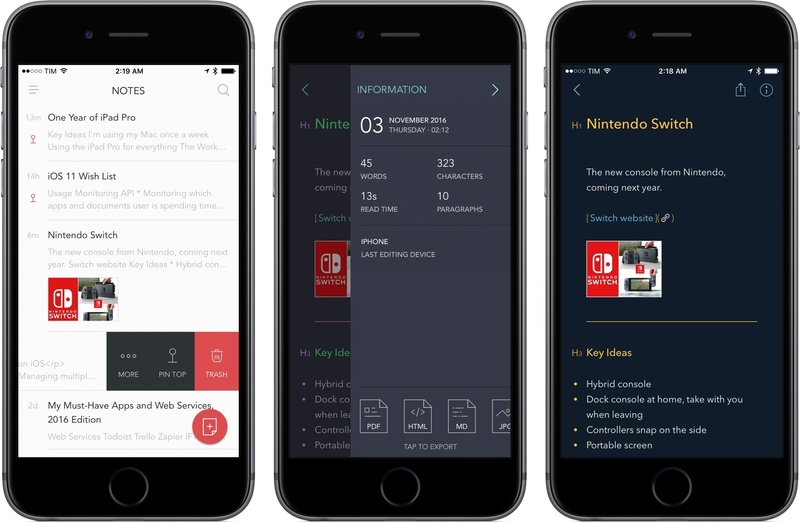 I'd also like to see iA go beyond local file callbacks (which only work with iCloud) and allow documents to be comprised of files stored in iOS document providers. 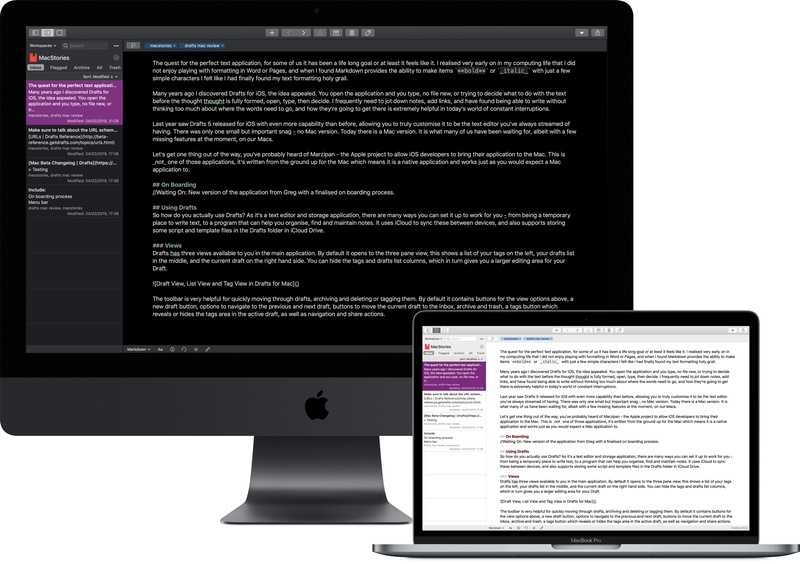 iA Writer is one of the few text editors that fully support opening and editing files from external document providers, so extending that integration to content blocks would be the next logical step. 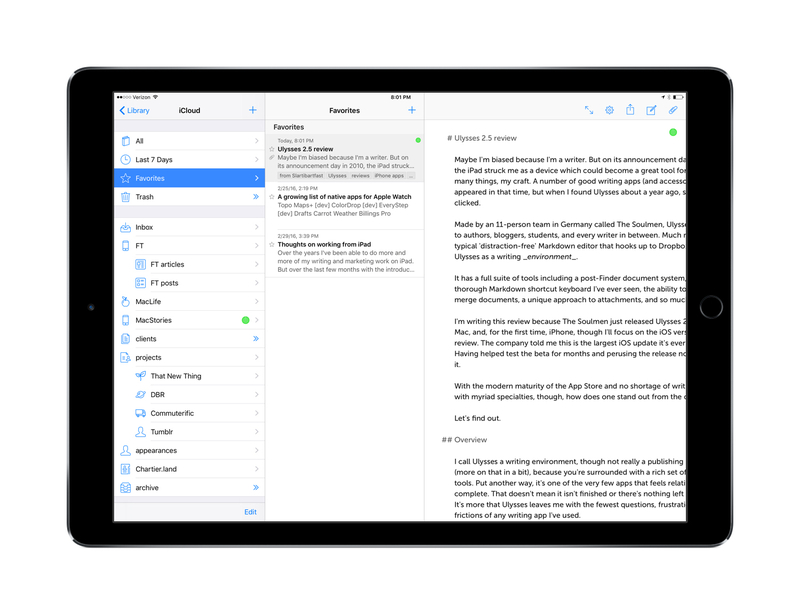 There's a lot to like in iA Writer; I don't think it's appreciated enough by iOS power users. 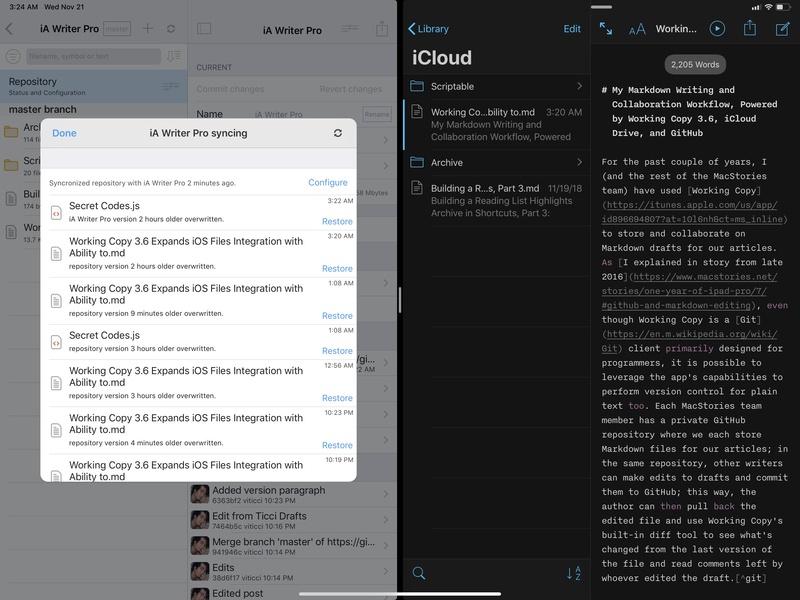 The aforementioned integration with iOS document providers is solid, there are several editing tools such as writing statistics and parts-of-speech highlights, plenty of output options, support for iCloud versions, and more. I hope that iA will consider adding more features to the app's basic URL scheme in the future – one area where iA Writer is considerably behind alternatives such as Ulysses and 1Writer. 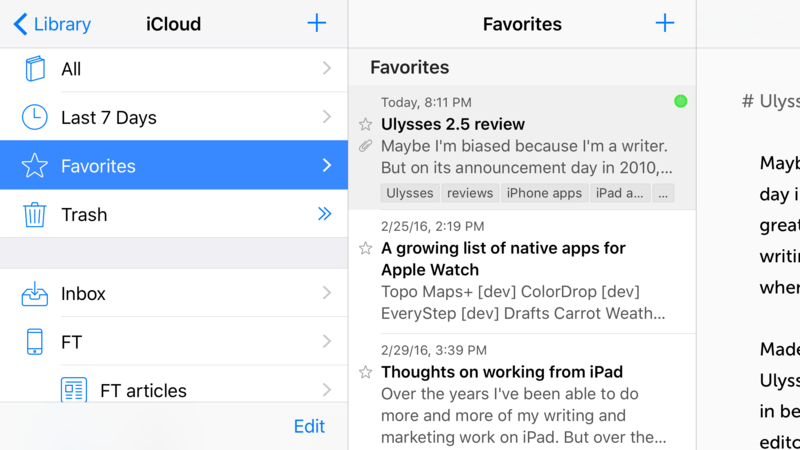 I'm going to play around with iA Writer for a while – I feel like the app deserves more attention, and I want to experiment with document providers and content blocks for MacStories reviews and our newsletters.